$4 a month is certainly below the market standard. SlickVPN has some slick prices and there’s even a warrant canary on their website. Read on to learn about all the features. “Privacy is Freedom”, SlickVPN exclaims on their website. For as low as $4 a month, SlickVPN provides users unrestricted access to the Internet, security at every step, and anonymity during the use of the VPN. Despite being a US-based VPN provider, SlickVPN allows full use of their VPN for torrenting. This extends all the way to files or documents that may be deemed illegal by your location since they don’t log or track your activities. But before you can say hooray, consider that SlickVPN will drop your download speeds considerably (more on that below). So if you plan to download or upload large files, better you go with one of the best VPNs for torrenting. Starting with a monthly subscription price of $10, SlickVPN’s pricing falls on the more expensive side of VPNs. This quickly goes down as the 6-month subscription is only $5 per month and the annual subscription is $4 per month. You’re saving 60% on your subscription if you choose the yearly plan. Payments are billed immediately for all packages. Given that the monthly pricing for them is $10, users expect premium services and working Netflix servers. Refund Policy: 30 days to decide! SlickVPN does not have a free trial; however, they do offer a 100% money-back guarantee for your first 30 days. They also challenge users that if they fail to find a Netflix server, you get your money back. SlickVPN’s payment options are rather standard. PayPal, Bitcoin, and major Credit Cards. Users shouldn’t have a problem signing up to this service. SlickVPN does not have a logging policy of any sort. They do not track or collect data or connections from their clients. If the worry is that they’re a US-based company, it reassures users by having a Warrant Canary page which is updated every 14 days and PGP signed. In this regard, SlickVPN puts some effort into assuring customers that they’re safe by sharing information on the latest government requests. SlickVPN passed all IP and DNS leak tests run. 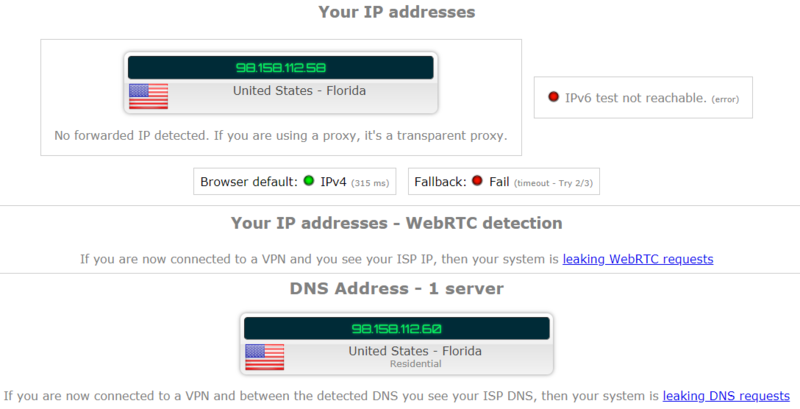 In the options, there is a selection where you can turn-off DNS and IP leaking protection. This seems like one of those added buttons just to take up space since there’s no real reason to want to turn it off, to begin with. SlickVPN simplifies their security discussion with a table. SlickVPN lists PPTP, IPsec, and OpenVPN as they’re protocols and discusses each in detail. The helpful part here is that the comparison is side-by-side and per topics such as supported OS, compatibility, security, speed, and others. This is great for users that don’t have a very technical background and will make data consumption in this regard easier. SlickVPN comes with a built-in Kill Switch. But only to Windows and Mac where it’s native. SlickVPN has over 150 servers around the world, mostly in North America and Europe. 26 of them are in the United States which is probably because they are an American company. Also, none of their servers are in Asia. If you are based in Asia and would like to connect to a nearby VPN server, this could be problematic. At first glance, SlickVPN doesn’t present impressive numbers. SlickVPN gave a mixed bag of results initially. We retested after several hours of use and the tests became more consistent. SlickVPN dropped our connection speeds between 30%-50% depending on how far the server was. The connection was strongest in North America and the worst in Asia. This makes sense considering the server allocation they have. We can deduct they would put the least amount of resources in Asia. Overall speed is an important factor in selecting a VPN, and your location should also be taken into account. SlickVPN gave us access to Netflix, but not without difficulties. 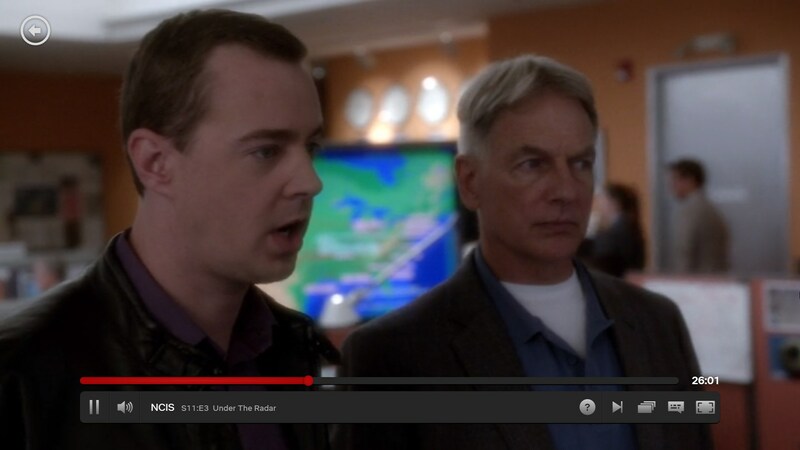 It was around 4 or 5 servers before we found a US-based Netflix server that worked. SlickVPN advertises the fact that you can access Netflix, however, they don’t specify which servers work with Netflix. This is quite concerning since it sours user experience to browse around for servers that provide Netflix access. Premium VPN providers like the ones on our list of best VPNs for Netflix simply have an inventory of working servers to make it easy for users. It doesn’t help the fact that they don’t have live support, but more on this later. SlickVPN also works on several listed routers. Though the setup requires experience and knowledge. This is likely reserved for advanced users with prior experience with VPN routers. That being said, this is run of the mill offering and nothing exceptional stands out. The signup process had a few snags along the way. When we first purchased SlickVPN, it just asked for an email address. It then sends you a password reset token. What should be noted here is once you open the password token, it expires. So if you misclick it or forget that you already did, you have to email them for another token. The account dashboard was quite nice to have. It listed your subscription details and credentials. You will easily find out if your subscription about to expire. Also, moving through the site randomly logged me out. It is rather annoying when you’re incognito all the time and don’t save any passwords. SlickVPN’s interface will likely remind you of a router or terminal login. It’s not bad but it definitely looks dated. There’s a line between simple and simplistic and SlickVPN leans to the latter. Going over the other tabs, you will see a server breakdown per country and city, and how many servers there are. You can even favorite servers; those you will eventually learn are a good fit for your location. There’s a speed test tab that allows you to ping/test servers individually or one after the other. A full test of all servers will definitely take up a lot of time. But if you’re the one to be meticulous, this is great to have. The distance from the client is probably based on the current IP that it’s detected from you. The top right portion is probably the most important as it lists if you’re connected or not. Moving on to mobile, the experience on Android was vastly different. That’s because you have to download and configure from OpenVPN for Android. Yes, SlickVPN does not have its own mobile app. It’s only native on Windows and Mac. That’s where it really loses points since there are a lot of other VPNs that are native to Android and iOS. That being said, it would be pretty tedious to maximize the 5 device allocation that you’ve bought from them. Continuing their trend of convoluted help, SlickVPN also does not let up in the documentation. The FAQ guide is just questions listed in bold without segmentation. So you have to scan through each question, to know if that’s what you’re looking for. Or use the find function (ctrl+f). Other VPN providers segment by topic. There are also 2 separate guide sections. 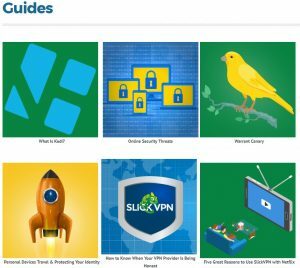 There’s a normal guide that’s all about generic topics of VPNs which is more like “why get a VPN” than anything else. SlickVPN only has tickets which definitely loses points with us. They actually have 2 support ticket sites. First is the support section for non-logged in users and for logged in users. Perhaps they escalate support for logged in, paying users? The logged-in version also has separate credential logins that you have to know. SlickVPN lists their address on their page at all times. They’re in an office in Greenville, South Carolina in the United States. Although the company was founded in 2011, we can clearly see there’s still a lot of growing left to do. They are an American company as previously mentioned. So this means they are under the Five Eyes alliance at the moment. As previously stated they do have a Warrant Canary page setup to ward away any doubt of their security. Overall SlickVPN provides a standard list of features and not a whole lot more. It’s secure, and you can probably access Netflix. But outside of items that you already expect from a paid VPN, there were lots of both ups and downs. SlickVPN’s price is middle of the road against most others and those others provided us with better help, support, and service in the end. Getting started was a slight pain, but the overall process appears to be improving over time. Their commitment to a transparent business model via the Warrant Canary page is definitely a plus. If you’d like to consider more VPN choices, we recommend you go to our top 10 list.